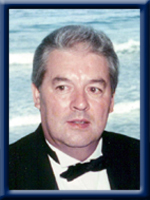 WHYNOT- Calvin R. 72, of Liverpool, passed away peacefully in Queens General Hospital on Thursday, June 26, 2014. Born in Liverpool, he was a son of the late Kelly and Mary (MacLeod) Whynot. Calvin was an auto body mechanic all his working life and was owner/operator of Cal’s Auto Body. He was a former member of the Liverpool Fire Fighters Association and loved to play volleyball. He was an avid car show enthusiast. He will be fondly remembered as a loving husband, father, grandfather, brother and uncle. He is survived by his wife of 47 years, Sandra (Deveau), his daughter Tania (Norm) Amirault of Liverpool, his granddaughters Clare and Lauren, his sisters Phyllis (Lauren) McKiel and Ruth Ball, both of Liverpool, his brother Wendell (Susan) of Liverpool. Whynot Family: We were sorry to hear about Calvin. Our thoughts and our prayers are with your family. My deepest sympathy to Sandra, Tania and the rest of the family, my thoughts are with you all at this difficult time, Calvin was a wonderful man. Sandra & family……..My heart goes out to all of you, and am sending my love and sympathies. Calvin was a nice guy, who loved to laugh and have fun. We sure all had some good times throughout the years. Remember the good times, and they will comfort you. Wishing the family & his friends all the best wishes. We new the day was coming, but are still so saddened by Calvin’s passing. Mom is in Edmonton right now, and sends you her deepest love and sympathy. Calvin was a great man who always made you smile no matter what. I know you have so many memories to hold on to. May they keep him close to your heart. Please know that you are in our thoughts and prayers. Sandra and Family,we were so saddened to hear of Calvin’s passing,our condolences to you and the entire family.Our thoughts and prayers are with you all.Keep all the great memories in your hearts. CALVIN WAS OUR NEXT DOOR NEIGHBOR AND VERY GOOD FRIEND. OUR HEARTS GO OUT TO THE FAMILY, THINKING ABOUT THEM AT THIS VERY SAD TIME. WAYNE AND LINDA WOODWORTH. We send our sincere condolences to Sandra & family, also Wendell & family, and to all Calvins loved ones & friends. We are so sorry to read this news. RIP. We are very sad to hear of Calvin’s passing. Keep the many memories close to your heart and may the strength of those memories and the love of family and friends get you through this very hard time. Sending prayers your way. Sorry to hear of Calvin’s passing. Our thoughts and prayers are with you all. My heart is saddened for you and your family. I know this is a very, very difficult time for all of you. WOW, 47 years… you are so blessed to have had Calvin in your life for that long… such a great guy!! I have very fond memories of Calvin and will never forget that crooked grin whenever his thoughts were spinning, and he was just waiting to tease!! Of course, whenever I saw him it was always “who had the most wrinkles in our old age”!!!! He certainly will be truly missed and I hope time and all the great memories you have will bring some sunshine into your life and help comfort you and your family. Sandra, So sorry that you have lost your husband. You were together a long time. My sincere condolences to you and all the family. Sandra and family, We are so sad to hear of Calvin passing. Will be keeping you in our thoughts in the days to come . Know that we care. Sandra and Family, We are so sorry to hear of Calvin’s passing. Our prayers and deepest sympathy are with you all. Dear Sandra & Tanya And Families!!! Francis And I Were So very Saddened To Hear Of Calvin’s Passing. Even Though We Knew His Time Was Coming to the End you never come to Grips with Such a Loss!!! Calvin Will Certainly be Missed By Francis, They use to have Quite the chats when he came for his Haircuts!!! He Sure was proud of his Family, Remember That Calvin Will Always Be A part Of your Heart as The Memories Live On!!! If There’s anything we can do, Please Don’t Hesitate To let us know!!! Prayer’s and Thought’s are with you all at this most Difficult Time In Your Lives!!! God Be With You!!!! So sorry to hear about Calvin.He was a good friend.He will be missed by many. So very sorry for your loss and to all the family..May God Bless You!!!!! Sorry to hear of Calvins passing.Thoughts and prayers be with you. Sandra and Tania i am so sorry of your loss. Our prayers and thoughts are with you at this time. To Sandra & family we are so sorry to hear of Calvin’s passing. Our hearts go out to you all at this difficult time. May all you memories get you through this. God bless. many, many fond family memories. Sorry to hear of your loss, thinking of you at this difficult time. Sandra, Tania, Wendell and families…..so sorry to hear of Calvin’s passing. He will be missed by all those who knew and loved him. Our thoughts are with you and may you find peace and comfort in all those who surround you during this difficult time. My thoughts have been with you and your family – especially when I saw Clare graduate and receive her awards at Graduation Ceremony on Friday night. She must have had a heavy heart. I know you will all hug together and make it through the days ahead. Be brave. Calvin is at rest now. We are so very sorry that Calvin has passed away. He will be remembered fondly by his many friends and family. Our sincere condolences to you all. so sorry to hear this sad news. God be with you all. So sorry for your loss. Our hearts go out to you and all the family. You are in our thoughts and prayers. I was so sadden to hear that your best friend and Husband is gone. This has to be a very difficult time for you and your family. I know you have many great memories of Calvin. Keep all the good things close to your heart and in time the trials you have been through this past year and especially the last few weeks will fade. God Bless all of you. So sad to here of Calvin’s passing and my prayers are with you all.he was a great friend and we will all miss him. We were so sorry to hear of Calvin’s passing. Thinking of all of you with heartfelt sympathy at this very sad & difficult time. Sandra,Tania,Wendell,Phyllis and famalies Deeply sadned to hear of Calvin’s passing.Sincere condolence to all of his family. So sorry for your loss. I’m sure you have many happy times to hold onto after so many years together. Please accept our sincerest condolences. Our thoughts and prayers are with you during these difficult times. Sandra and Family, Sorry to hear of Calvin’s passing. Our sincere sympathy to the family. Take care. Dear Sandra and family: Our deepest sympathy on your loss of Calvin. So many years and so many memories it will be hard to move on but be assured you have the love and support of those around you. Our prayers are with you. May you find some peace in the days ahead knowing that he suffers no more. God Bless. and your family ,at this time. MY DEEPEST SYMPATHIES TO SANDRA AND FAMILY.. MAY GOD GRANT YOU PEACE AND HEALING AT THIS DIFFICULT TIME THROUGH THE LOVE AND SUPPORT OF FAMILY AND FRIENDS. We are so sorry to hear of Calvin’s passing and will continue to uphold you and your family in prayer. You have our heartfelt sympathy. May God grant you comfort and peace of heart through this difficult time. Sorry for your loss. Our condolences to your entire family. Tania and family, Our deepest sympathy for the loss of your dad. Thinking of you at this very difficult time. My sincere sympathy on the passing of Calvin. Our heartfelt sympathy to you,Sandra and Tanya and your lovely family. I know you were all so close. It will be very difficult for you but keep all the great memories in your heart and mind and it will help. So, so sorry to hear of Calvin’s passing. Our thoughts and prayers are with you all at this most difficult time in your lives. Sorry to hear about Calvin,s passing . Our thoughts and prayers are with you all. My heart goes out to you all during this difficuilt time. Please accept our deepest condolences for you family’s loss. So sorry to hear of Calvins passing.May you hold tight the many memories from over the years.I will remember the many stories told and pranks played at the shop with the guys.Rest in peace friend. I would like to express my sincere condolences to all on the passing of Calvin. My thoughts and prayers are with you at this very difficult time. We were saddened to hear of Calvins passing! I know you were all very close! Hang in there! God bless! RIP Calvin! Sandra, Tania and family so sorry to hear of Calvin’s passing away , Our thoughts and prayers are with you at this difficult time. So sorry to hear of Calvins passing. Our thoughts and prayers are with you at this difficult time. All at this very difficult time. So sorry to hear that Calvin passed away. He is in God’s hands now and may he rest in peace. I am on my way to Ontario to visit family & friends, but my thoughts are with you & your family. So sorry to hear of Calvin’s passing. You have our heart felt condolences. Bless you and your family. So sorry to hear about Calvin..I always liked chatting with on my walks..thinking about you in the days ahead..take care. So sorry for your loss! We hope time and the love of your friends will help you heal. Sandra you were always so sweet when I saw you at work! Wendell I hope your art work on cars, will keep you moving forward! Love each other, and find comfort in thinking about Calvin and each other! May ” He ” bless your family! So sorry to hear of the passing of your dad. Our deepest sympathy to you and your family. Take care. Sorry to hear about Calvin. Our thought”s and Prayer”s are with you at this sad time. Sorry for your loss. My deepest sympathy to the family. Our sincere condolences to all of you at this most difficult time. We are so sorry to read of Calvin’s passing. Please accept our sincerest thoughts of sympathy at this sad time. God Bless. We are thinking of you durning this time of loss. We have many fond memories and know as time helps to heal you too cherish all the wonderful memories. Sorry to hear of your loss, we send our sympathy with God’s Blessing upon you all. Sandra and Tania: My thoughts and prayers are with you. God Bless! So very sorry for your loss, thinking of you at this sad time. So very sad to hear of your loss! My thoughts and prayers are with you in this very difficult time. we are so sorry for your loss, Our thoughts and prayers are with you and all the Family. I was sorry to hear about Calvin’s passing. My thoughts and prayers and those of Laurie Ann’s are with you during this difficult time. Sorry to hear of Calvins passing, our thoughts and prayers are with you . Dear Sandra & family, Phyllis and Ruth. So sorry to hear that Calvin had passed away. My prayers and thoughts are with you all at this time. Remember the best times and know that he is in a better place and away from all the pain. Words are difficult to find when trying to express how sorry we are that Calvin has passed away and left you all with so much sadness. It is impossible to be prepared when this happens even though you know it will. We know that the love and support you have from your close family and many friends will help you in the process of dealing with the times ahead. The pain will ease a bit with time but the memories will always be close by. Calvin will be missed forever. Take care of each other . Sorry to hear of your loss. Our prayers and thoughts are with you all at the sad time. I am so sorry for your loss! My thoughts and prayers are with you all at this difficult time! May you find comfort in your precious memories and the love and support of your family and friends. Sending deepest sympathies to you all at this very sad time. We’ve lost Calvin way too soon. Thinking of you during this very difficult time. Dear Sandra, Tania, Wendell, Phyllis, Ruthie and families, we are so sorry for your loss. Calvin was a wonderful man and I have many fond memories from our camping days. You’re in our thoughts and prayers during this difficult time. Sandra, So sorry to hear of Calvin’s passing. Please accept our condolences. He will be missed by so many. Extending my sincere sympathy to all at this difficult time. Please accept our sincere condolences. Although Calvin has left this earth in body, he will live on in the goodness and caring ways that he has instilled in his family and those fortunate enough to have known him. Rest assure that he is in God’s care. Sandra, so very sorry to hear of Calvin’s passing. Our thoughts and prayers go out to you and your families. Calvin will be missed by many in the community. Clyde & I were so sorry to hear of your loss. Please know that our thoughts are with you at this difficult time. So sorry for your loss, Calvin was a great guy and will be missed by many. Thoughts and prayers go out to you all at this difficult time. Remember the happy times that you all had with Calvin and keep them alive by sharing them with the people that knew and loved him. Know that he is free from pain and well always be watching over you all. So sorry to hear of Calvin passing. We offer our sincere condolence. May precious memories live in your hearts forever. Sandra, Tanya and Family, Kirk and I are so sorry to hear of Calvin’s passing. He will be missed by all. You are all in our thoughts and prayers. Our sincere condolances to your family for your loss. Thoughts and prayers go out to you in this difficult time. Sandra & Tania We were so sorry to hear of Calvin’s illness and passing. We send our sincere condolences. He will live on in the memories of many that had the pleasure of knowing him. May you find comfort in your memories and the love that you all shared. Calvin was a wonderful person, he was full of fun and love. We have many wonderful memories, the good ole days ,eh. He will be greatly missed by all who were lucky enough to know him. We will miss that big smile & wave and all the teasing. You know, I think God must have needed another great mechanic. The B.S. is flyin in heaven now. Take care, our thoughts and prayers are with you all. Bettylou & Heidi & the 3G’s. We’re thinking of you at this difficult time . Calvin was such a great man and will be missed by all who knew him. Life sometimes gives us rough patches, but when we think back and remember all the wonderful times, we will smile and be ever so thankful. .With Deepest Sympathy to you all. Sandra and family..very sad to hear of Calvin passing…he was a great guy and will be missed by many. Such a wonderful marriage and memories…Again so sorry…Barb. Very hurtful to see calvin here on this page . When I think back I remember going to calvins an helping out being at the age of 15-16 yrs old it was nice of him to give me a chance to learn an show me what he knew I was really interested so I absorbed what he taught me so I have him to thank for that ill miss you calvin Your in that big car show in in the sky ! Our deepest sympathy to the family. We know how very sad this time must be. Sometimes life just takes our loved ones too soon. You’ll always have Calvin safe in your hearts. Hold on to the good memories and with family and friends you’ll get through this difficult time. My thoughts and prayers are with you and your family at this very sad time. May your fond memories of times spent together help you through the healing process. Dear Sandra and family, so sorry for your loss. My thoughts and prayers are with you during this difficult time. Many years have passed since our parties at the beach and the Fire Hall dances …fond memories …thinking of all of you. So sorry to hear of your loss. Much too young. My thoughts & prayers are with the family. Take Care & GOD Bless!